The members of the Board contribute core competencies to the Group’s decisions with their combined experience and expertise in various fields. They exercise oversight over the company and set the tone for DyStar’s long-term business objectives, organizational strategy, risk management and global dealings. Together, the Board members review and approve business plans, and ensure that sufficient resources are available for DyStar to realize its objectives. As leaders in this niche industry, it is also the Board’s priority to see that environmental, social and economic responsibility are woven into the fabric of how we operate. Weixiang Ruan graduated from Shanghai Fudan University with a Master of Science degree. Since 1993, he was appointed as the Deputy Director and Chief Engineer of Zhejiang dye auxiliaries’ factory, Deputy General Manager and Chief Engineer of Zhejiang Longsheng Group CO. LTD, Director of the 1st and 2nd session of the Board of Directors, General Manager and Director of the 3rd session of the Board of Directors, Managing Director of the 4th and the 5th session of the Board of Directors. He is now the Chairman and CEO of Zhejiang Longsheng Group CO. LTD, and the Chairman of the Board of DyStar Group. Yalin received his bachelor’s and Master’s degree in Applied Chemistry from Shanghai Jiao Tong University. 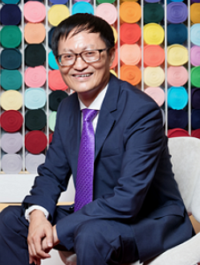 In his 13 years’ career with Unilever, he served as Development Manager, R&D Director and Global Mass Market Development Director in China, Australia and Brazil. Yalin joined Ciba Specialty Chemicals at the end of 2002 as General Manager of HPC for greater China and later Vice President of HPC for Asia Pacific. He is currently the Executive Board Director of DyStar Group. He is based in Singapore directly managing DyStar Group, representing the Board. 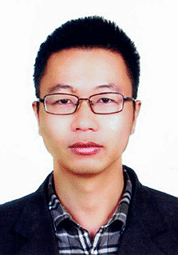 Jianfang Yao graduated from Beijing Normal University with a bachelor’s degree in Economics. He worked in the investment department of Jinggong Group from July 2006 to April 2008. He joined Zhejiang Longsheng Group CO. LTD in May 2008 as an office staff of investment department. In May 2013, he was appointed as the investment department director as well as the Secretary of the Board of Zhejiang Longsheng Group CO. LTD. Since September 2014, he was appointed as the Board Director of DyStar Group. The Remuneration Committee looks after the company’s human resource policies and practices, making sure that they are consistent and aligned with DyStar’s long-term objectives. Their principal concern is ensuring an optimal and effective organizational structure. The Audit Committee holds critical responsibilities in the company. Apart from monitoring the effectiveness of DyStar’s internal control processes and internal audit function, they also evaluate the independence and objectivity of external auditors.